Daniel is the son of our Complex Manager, Susan. Daniel's biological mother passed away when he was a baby, and his mother was a close friend of Susan's. At the funeral, Susan discovered that there wasn't anyone to care for Daniel, and Susan simply opened her arms. If anyone has gone on a mission trip, they know Susan and Daniel well. Susan loves on all of our staff and guests, and she cares for everything Complex related. And Daniel, well, he can't be missed at the Complex. He has more energy than any child, can eat more than any child, and has an incredible talent in getting anyone and everyone to laugh. He is absolutely crazy, sweet as can be, very fun, and overall a great kid. Daniel will never ever know or have memories of his real parents. He was an orphan, but in a split second, one amazing and selfless woman stepped in and said she would care for him. Will you join us in helping Susan and Daniel? 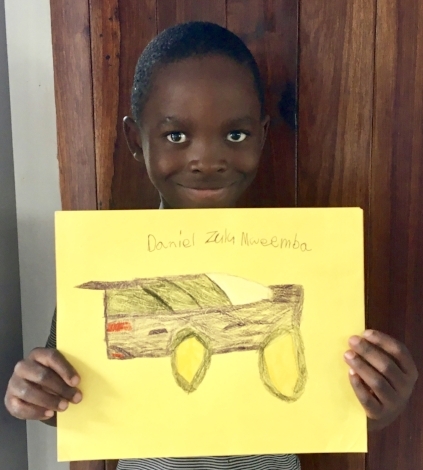 Please consider sponsoring Daniel at a minimum of $50 a month so that we can send him to a school where he too will receive a great education! All of your funds will go directly to his tuition fees. You will receive a report on Daniel every three months along with photos. You also will have the opportunity to write him letters if desired.